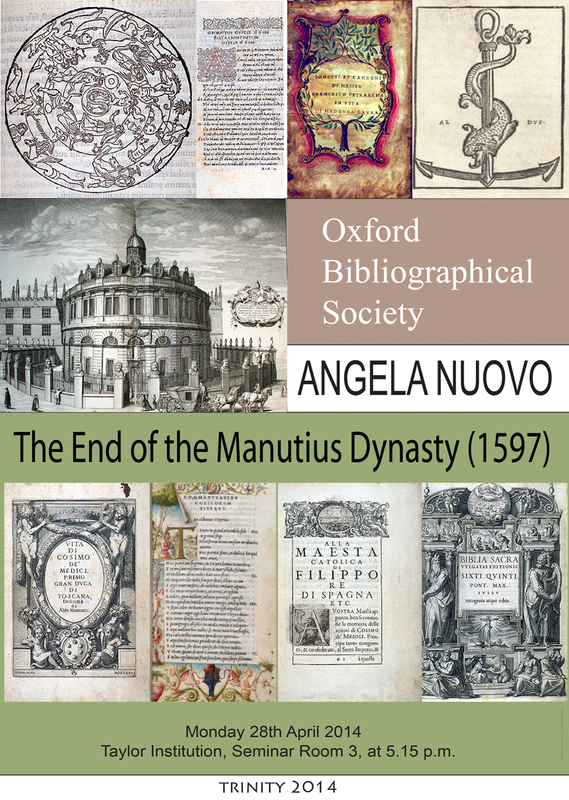 Angela Nuovo teaches Book History and Library Science at the University of Udine, Italy. Her main research interests are in the fields of the book trade and the history of libraries in Renaissance Italy. She has been teaching and lecturing extensively in Europe and in the USA. Among her recent publications: The Book Trade in Renaissance Italy, Leiden-Boston: Brill, 2013; (with Christian Coppens), I Giolito e la stampa nell'Italia del XVI secolo, Genève, Droz, 2005; Il commercio librario nell'Italia del Rinascimento, Milano, Franco Angeli, 2003. She is a member of The IFLA Rare Books and Manuscripts Section, and is currently serving as Chair of the Rare Books and Special Collection Group of AIB, Associazione Italiana Biblioteche (2008-2014). Angela Nuovo has been Visiting Fellow at All Souls College in 2012/2013. In 2014 she has been awarded with the Ahmanson Research Fellowship for the Study of Medieval and Renaissance Books and Manuscripts at the University of California Los Angeles.